The English club reportedly paid €55 million to secure the 25-year-old on a five-year deal. 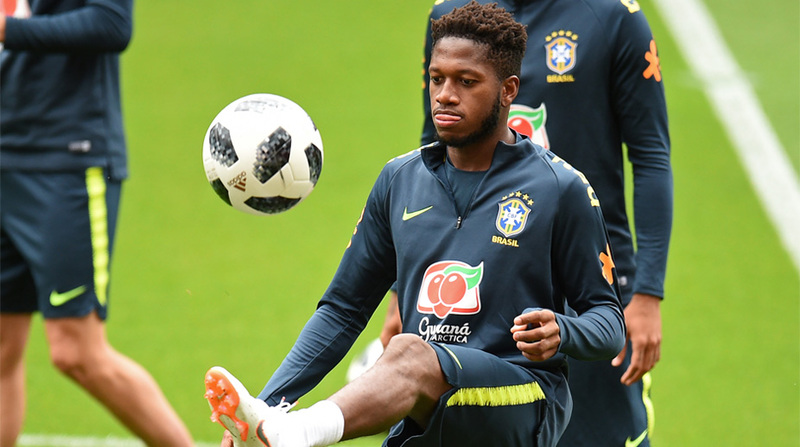 Brazil suffered an injury scare during their pre-World Cup camp here when midfielder Fred left a training session early with an ankle problem. National team doctor Rodrigo Lasmar said Fred suffered “ankle trauma” after collapsing under a sliding tackle from teammate Casemiro, reports Xinhua news agency. “Tomorrow we will see what happens and decide if we need to carry out any exams but at the moment it’s too early to say anything,” Lasmar told reporters on Thursday. Brazil are preparing for football’s showpiece tournament in Russia with a training camp at Tottenham Hotspur’s new sports complex in Enfield, north London. MUST READ | Why is Pierre-Emerick Aubmayenag supporting Alex Iwobi’s Nigeria? The incident came just two days after Manchester United announced they had reached a deal to sign Fred from Ukraine’s Shakhtar Donestsk. Brazil begin their World Cup campaign against Switzerland in Rostov on June 17 and will also meet Costa Rica and Serbia in Group E.